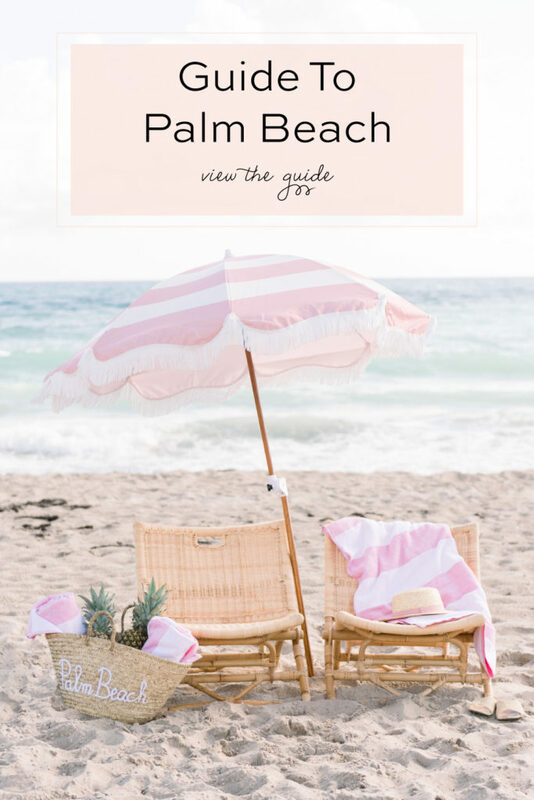 Palm Beach Lately recently partnered with West Elm for the grand opening of their beautiful NEW Palm Beach Gardens location. If you haven’t been, you have to check it out – it’s gorgeous and definitely on our must-stop shopping list for our homes! 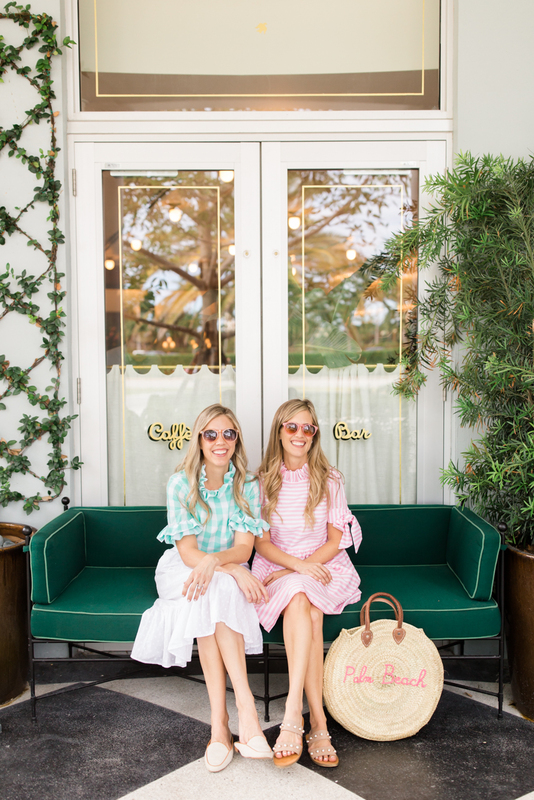 As part of our collaboration, they asked us to decorate one space in each of our homes by using a few of West Elm’s latest pieces with our signature Palm Beach style. 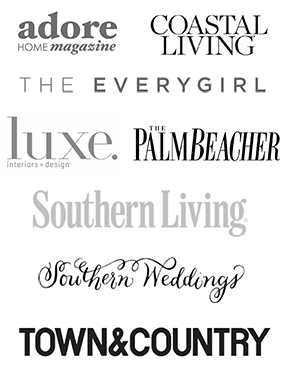 First, we did cartwheels, and then, we got right down to work selecting the areas and pieces we wanted to style! Up first is Beth’s makeover. She chose her back patio, which started as a blank, brick patio, and quickly became a cozy, lounge space that is ideal for al fresco entertaining. 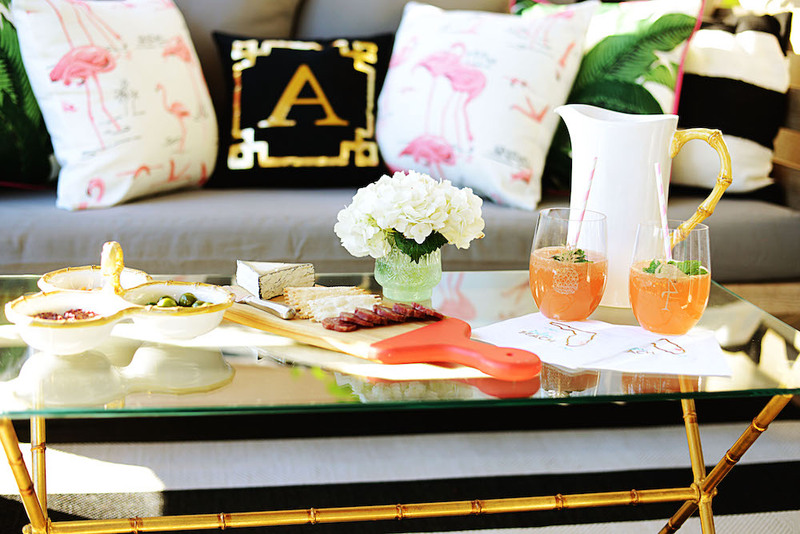 Beth built her outdoor oasis around West Elm’s Jardine Daybed. Grey is her favorite neutral color, so she used the Daybed Cover Set in steel and added a handful of colorful pillows for a modern spin on Florida style. 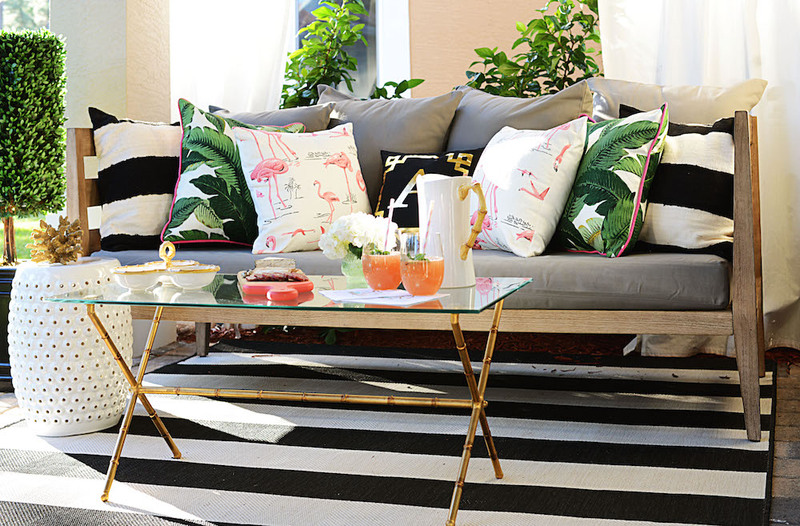 She chose Palm Beach Lately’s Flamingo and Banana Leaf Pillows, a monogram gold foil “A” pillow and West Elm’s black/natural striped pillow to match her indoor/outdoor rug. 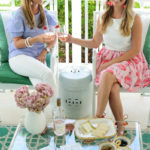 Beth’s outdoor entertaining area also needed a few occasional pieces for serving appetizers and refreshments, so she chose West Elm’s Bubble Ceramic Side Table and Terrace Bar Cart and a gold bamboo coffee table. Beth loves serving a relaxed antipasto spread from Whole Foods for her guests to nibble on. 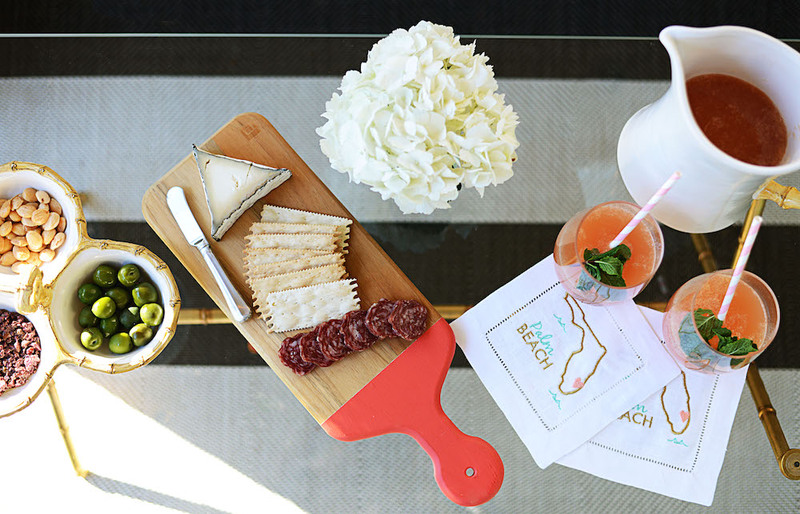 To infuse the Palm Beach vibe, Beth likes to serve on Palm Beach Lately’s Coral Teak Cutting Board by Madeira Housewares and “Palm Beach” Cocktail Napkins by Lettermade, as well as Juliska’s Classic Bamboo Triple Server and Cocktail Spreader. 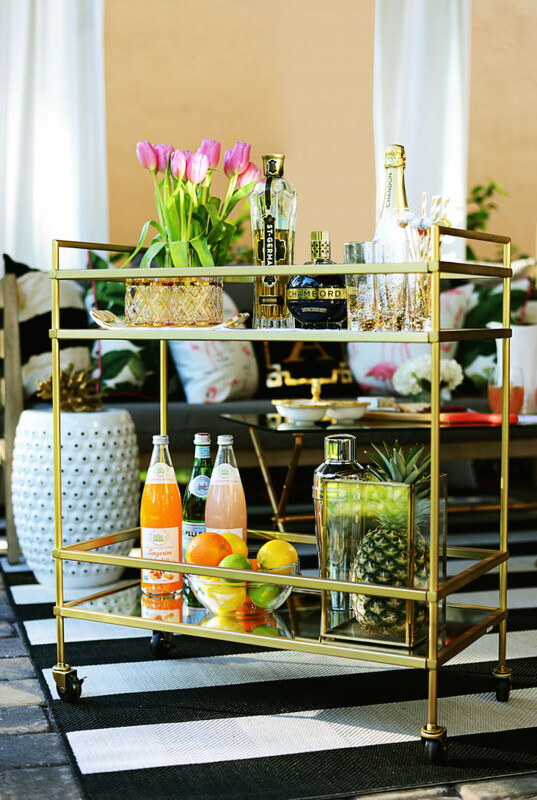 West Elm’s Terrace Bar Cart in antique brass is an essential serving piece for refreshments. 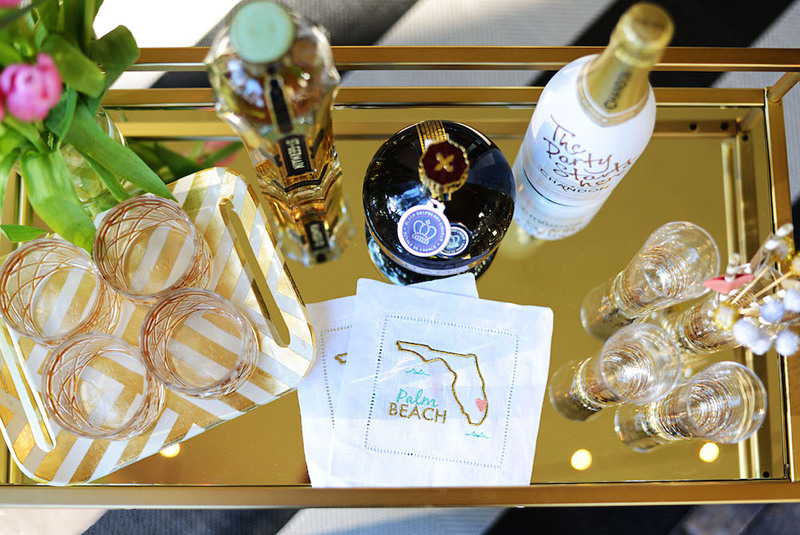 Beth likes to glam up her bar cart with cocktail glasses in various heights, sizes and styles, while also mixing in Florida’s famed fruit to garnish the drinks. 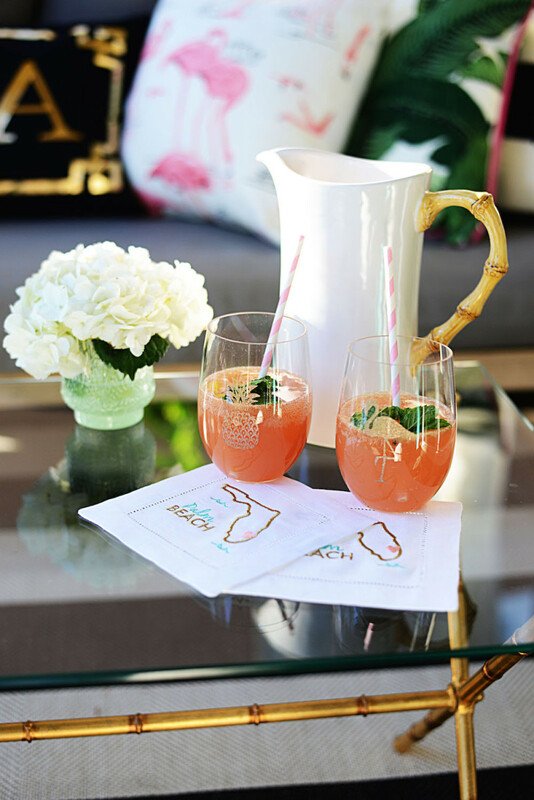 Our “Palm Beach” Cocktail Napkin is a chic way to serve cold drinks. 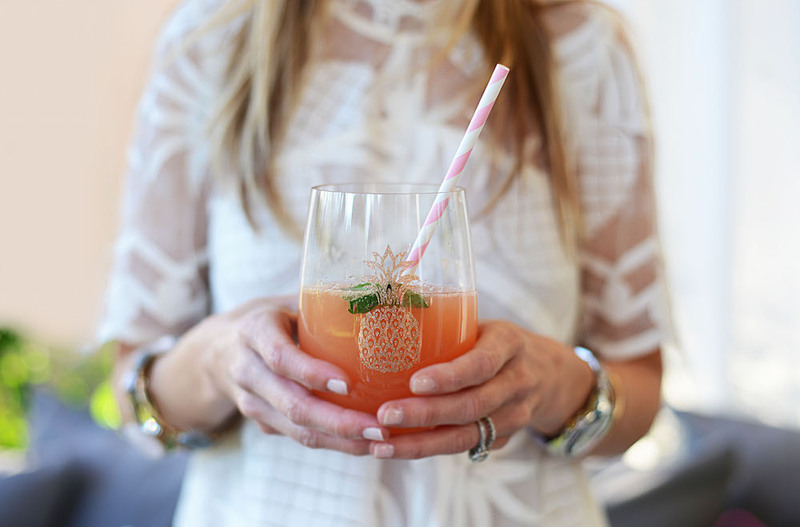 Palm Beach Lately’s signature drink includes bubbly, topped with fresh grapefruit juice, a splash of St. Germain and a sprig of herbs, served in our Flamingo, Florida or Pineapple Acrylic Stemless Wine Glasses with a striped paper straw. This signature cocktail is like a little piece of Florida heaven in a glass. To complete Beth’s back patio, she strung Edison Lights just below the ceiling for a warm glow when the sun goes down. Beth loves this outdoor extension of her home and enjoys sitting with Bentley her Maltese, reading a book, and soaking in the afternoon rays. A very special thank you to West Elm for their generous partnership in making this happen! Stay tuned for the next big reveal – Danielle’s Living Room – coming soon! 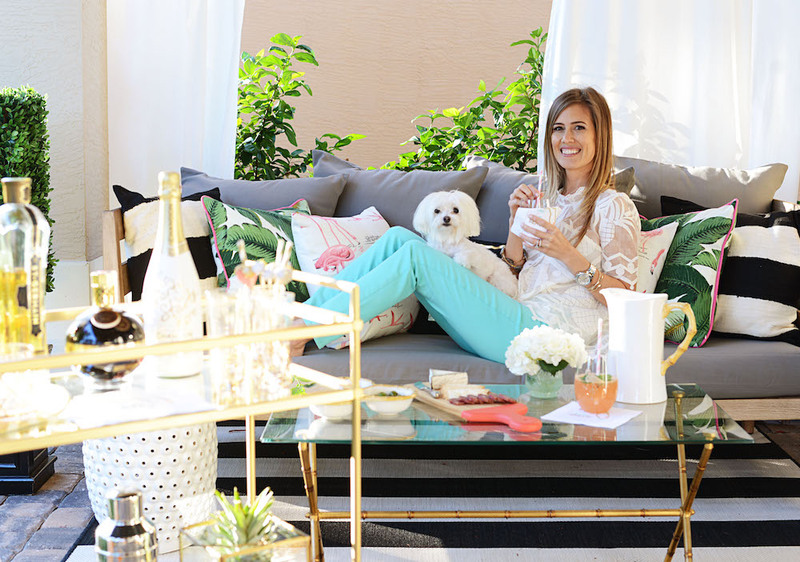 Love the bar cart and your puppy! What a great feature.